Mossel Bay is a harbor town in South Africa, situated between east of Cape Town and west of Port Elizabeth. This paradise is a combination of good climate, courteous locals, and breathtaking nature. It is the second country which won the title as having the mildest all-year climate in the world, based on the Guinness Book of Records. A tour to safari in Western Cape is the name of the game here, never miss the chance to experience wildlife and capture the moments by taking a groupie or selfie. Beach lovers will get excited as Mossel Bay has the long stretch of beaches combined with warm waters of the Indian Ocean. Whether it’s a summer or winter, this town will give you something. Check out this article to discover the best self-catering accommodations in Mossel Bay, South Africa. 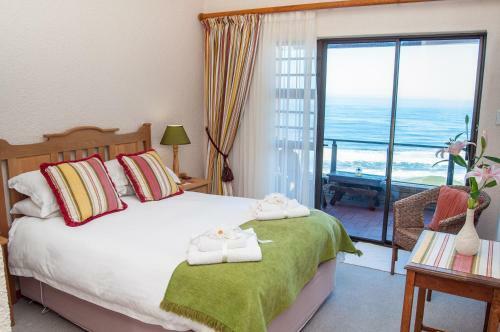 Situated close to the Indian Ocean and Mossel Bay’s peninsula, Point Village Hotel encourages you to venture out and explore the beauty of the town’s center and Mossel Bay Harbor. 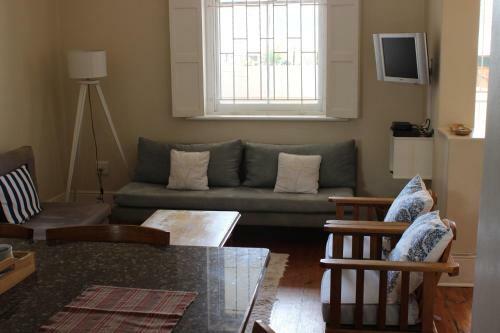 Charming, bright, and comfort pervade in every self-catering apartment, which features a fully equipped kitchen, while standard rooms feature a kitchenette. There’s nothing better in the morning than having breakfast at oceanfront Delfinos Restaurant. 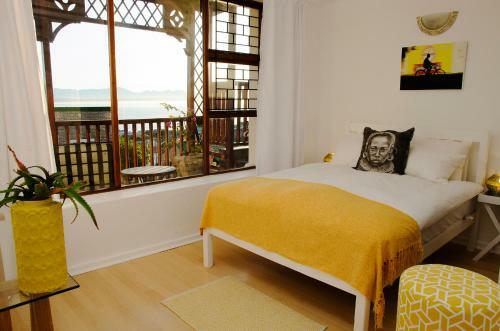 Everything you need and want is already provided at The Cove Guesthouse, Mossel Bay. Situated just 50 m (164.04 ft) away from the Indian Ocean, this accommodation guarantees real water escapade and everything you wish to do. The accommodation has a laid-back aura with modern facilities, and friendly staff - there’s nothing more you could ask for. 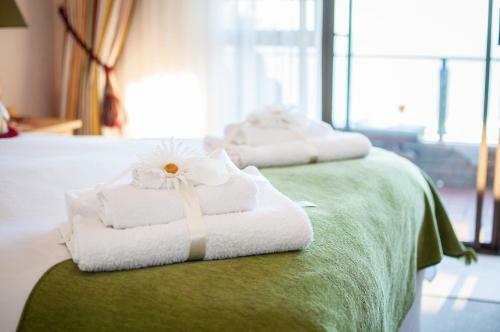 All rooms are decorated beautifully and equipped with a satellite flat-screen TV, a comfortable bathroom with amenities, and a fully equipped kitchen. If you want to experience waking up to breathtaking views, you must choose Sundowner Loft. This amazing accommodation found at a walking distance to the harbor of Mossel Bay, promises a memorable getaway for every guest. The location is convenient, the beach and entertainment areas are just nearby. Every loft apartment features a private patio and sea views, which are also full of charm and packed with great amenities, from a comfy bed, a seating area with a TV and DVD player, a kitchenette where you can cook, and a clean bathroom. 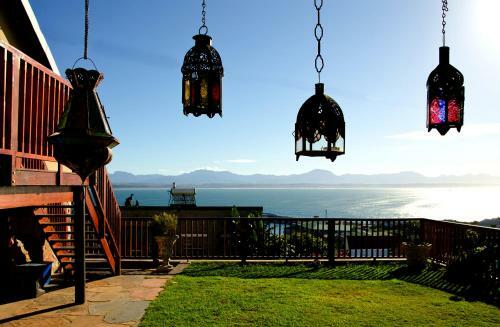 La Vue is a self-catering apartment, which is close to Mossel Bay. Comfort and convenience are what it offers, from here, you’ll get the chance to try a variety of water activities and possibilities for hiking within the surroundings. The well-thought design of this apartment is added to its wow factor, which also features a bedroom, an en-suite clean bathroom with a shower, a fully equipped kitchen, and a deck with incredible views. Meanwhile, you can consider having a party as barbeque facilities are also available. Entertainment-wise, 33 Santos Apartment is a real deal. 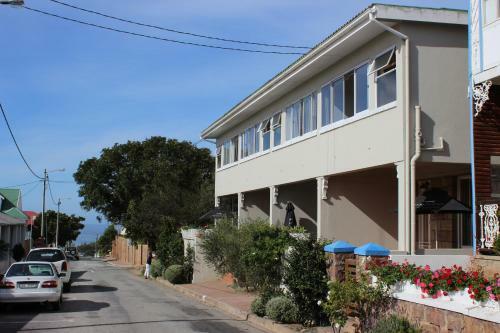 This self-catering apartment will bring you closer to your dream destinations since it is situated 50 m (164.04 ft) to the beach and 600 m (1,968.50 ft) to Post Office Tree and Mossel Bay Deep Sea Adventures. All of these can make your getaway a memorable one. 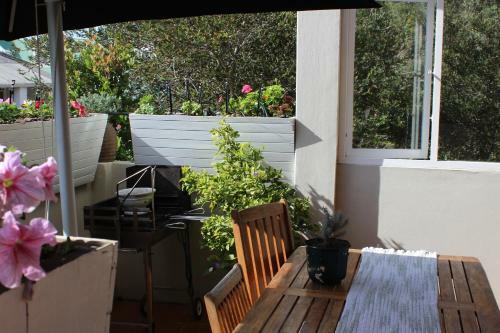 The positive aura of this rental can make you feel eased and relaxed, with great amenities available, from a well-equipped kitchen to a flat-screen TV, and barbeque facilities, this rental is a must stay. The homey atmosphere and simplicity of Valhalla self-catering accommodation will make you want to stay forever. Convenience-wise, you’ll be within minutes to some tourist attractions like the Bayside Shopping Centre, Post Office Tree, and Santos Beach. Everything here is flawless, from the lighting to the ocean-feel to superb amenities and more. It caters to all your needs as the amenities like WiFi, tea/coffee making facilities, and barbeque facilities are all provided. While some rooms have a kitchen with a microwave and an oven. Cross Court is your home away from home. 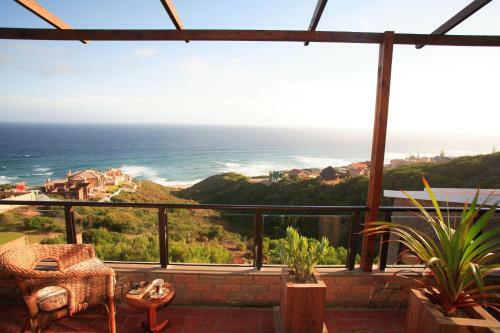 This awesome accommodation offers a comfortable stay and it will take you to the ocean. 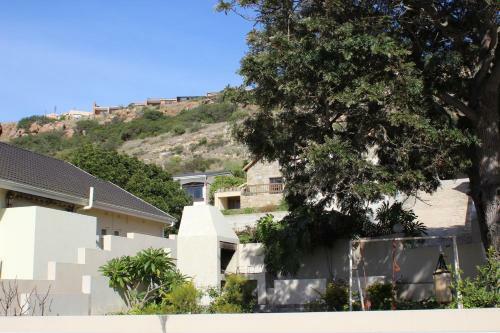 This rental is pinned in Mossel Bay, along with well-known Garden Route. It is accessible to a variety of places like the Indian/Atlantic Ocean 0.3 km (0.18 mi) and Santos Beach is 1.6 km (0.99). It features wonderful self-catering units, all equipped with a kitchen, an oven, a refrigerator, and a microwave. During the day, you can enjoy the Saint Blaize walking trail and Saint Blaize lighthouse, while perhaps, gazing at the African night sky will complete your night. This wonderful accommodation called Lilies & Leopards B&B has it all. 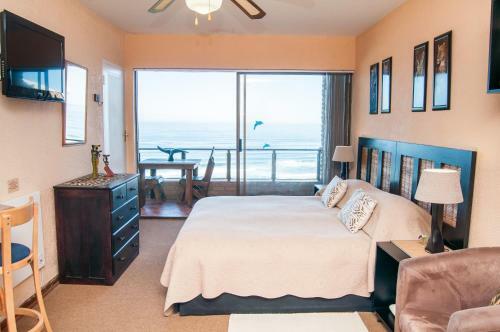 Yes, this rental is a combination of stunning views, comforts, and great amenities. It is placed 9 km (5.59 mi) from Mossel Bay and it is close to a lot of tourist and popular attractions, like Bayside Shopping Center, ATKV Amphitheatre, and Boggomsbaai Golf Club. Imagine holding a glass of wine while looking at the stunning sunrise from the balcony - wonderful, right? Other amenities include a satellite TV and a kitchen for self-catering. There’s no shortage of fun in Vista Bonita Apartments. Just steps away, the sea, restaurants, cool swimming pool, and water-world welcome you. 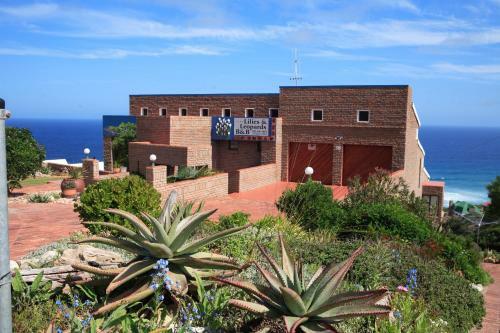 It is conveniently situated in Mossel Bay, just a short walk to Diaz Waterpark and 4.8 km (2.98 mi) to Diaz Museum. 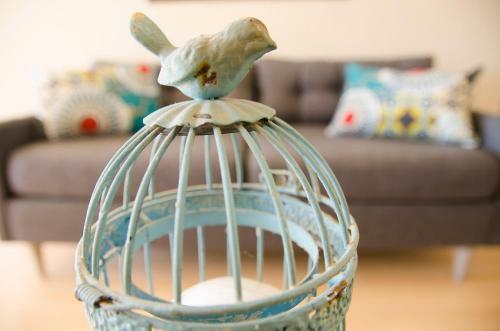 The apartments are full of charm and they are modern, with a lovely balcony with a breathtaking sea view. A happy family getaway is secured here, which features a well-equipped kitchen for self-catering. You don’t have to look far, In Touch Seaview is here for you which offers a great stay. This lovely apartment is new, modern, and charming, equipped with everything you need and close to many attractions. 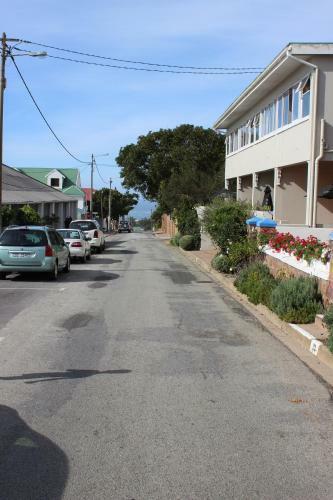 This rental is situated in Mossel Bay and it is just 2.3 km (1.43 mi) to Santos Beach, which makes it close to the area’s action. 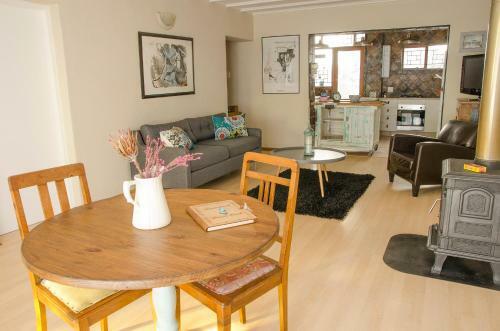 The apartment features two bedrooms, a cozy living room equipped with a satellite flat-screen TV, and a kitchen with an oven for self-catering. With superb weather, friendly people, great beaches and nature - what’s not to like in this paradise? Visit Mossel Bay and be inspired by its beauty. Book now! I want to live my life to the fullest. I want to go somewhere out of the country to spend with my love ones. I believe I am inherently artistic. :) God is good all the time- my motto in life!